The town of Kailua in Hawaii is known for its gorgeous sparkling beaches, great weather, and pristine waters that are perfect for swimming. Located on the east coast of the island of Oahu, Kailua is home to almost 40,000 residents. Surfers gather in this pretty seaside city to catch the waves and hike the Olomana mountain area. Kailua is also a great place to be when you run across that painful dental emergency. Just scroll through our excellent emergency dentists to find the dentist that you need in this Hawaiian town. The Emergencydentistsusa.com website is the perfect location to begin your search for a new Kailua emergency dentist. Just log onto our convenient website and scroll through the comprehensive list of general dentists, periodontists, dental surgeons, and orthodontists. You can click on the dentist with office hours that suit your needs, find driving directions, and even check out insurances accepted. The Emergencydentistsusa.com website provides you with all of the information that you need to make a great dental decision without leaving your home. When you need a little more help finding a great Kailua emergency dentist, call our 24-hour dentist finder hotline. 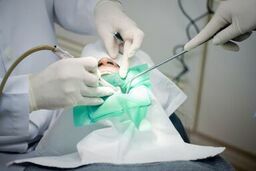 This toll-free number connects you directly with a caring agent who can help you to choose the right dentist for your emergency. The operator can also set up your first appointment and give you driving directions to the dental office. Remember to bring your photo ID and dental insurance card with you to your first dental appointment. You should arrive about 10 minutes early in order to fill out the new patient paperwork. The sparkling beach town of Kailua is a great place to spend a family vacation. It is also an excellent place to be when you have a dental emergency. Scroll down to view our top three Kailua dentists below. Description: A caring staff and expert dentists make Kailua Dental Care a favorite on the island of Oahu. This dental office provides restorative care along with cosmetic services. Home to some of Hawaii’s best dentists, Kailua Dental Care invites you to enjoy your dental services. Description: A caring staff and a host of dental services make Aikahi Dental a great place for your dental emergency. Dr. Millar provides general dental services along with cosmetic and restorative care. Office hours are designed to be convenient for the whole family. Description: Family dental offices are an excellent choice for anyone suffering from a dental emergency. Dr. Yugawa and Dr. Choy work to give you your very best smile by performing restorative dental care and cosmetic services. Aloha Dental Associates makes it simple to get a great appointment with convenient office hours. When tooth pain strikes, it is definitely time to find a great Kailua emergency dentist. Any tooth pain that lasts for more than an hour or two requires the skilled examination that is accomplished by a dentist. If your dental emergency begins with an accident like a sports injury or a fall, it is important to get a medical checkup at the nearest hospital emergency room or urgent care center. Call 911 if your accident includes something dangerous like a head injury. The Hawaii Dental Association website is a great place to check out your new Kailua emergency dentist’s current licensing and credentials. Just log onto the website and enter your dentist’s name in the search box. View documents that include licensing for the state of Hawaii, and credentialing. You can also view these types of documents by visiting the dental office prior to your first appointment. Speak with the dental receptionist to learn more about your new dentist.